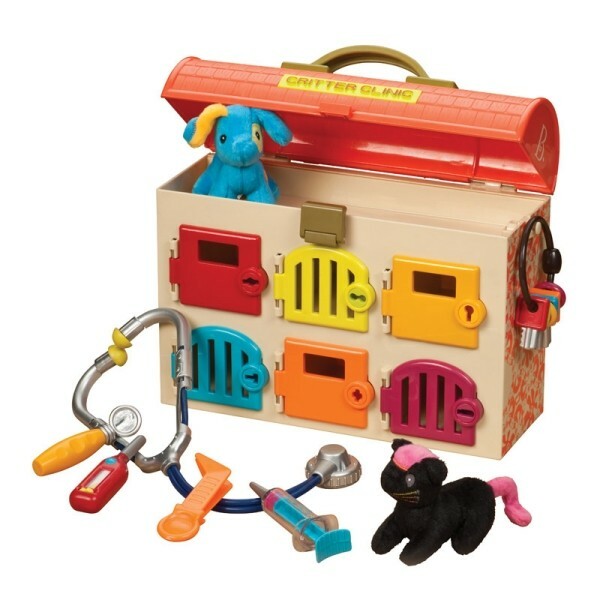 This darling toy veterinarian kit has something others don't: six latching "kennels" with color-coded keys! Opening and locking the latches is great for coordination and the color-coding helps with children's color recognition. With five toy instruments and plush cat and dog patients to spark your little animal lover's imagination. Now it's more fun than ever for kids to play vet! B. Toys is committed to making BPA-, lead-, and phthalate-free toys, with eco-friendly packaging, that inspire creativity and imagination.